Here at MeadowBees we are passionate about sharing our enthusiasm for beekeeping with new beekeepers. We offer a number of courses throughout the year that are designed to provide an introduction to the world of honeybees & beekeeping. We also give participants the opportunity to get close to the bees through a hive inspection at our apiary (weather permitting). As well as beekeeping courses we have introduced a Wax Workshop for 2015 with practical sessions on candle making and other products such as polish and hand creams. 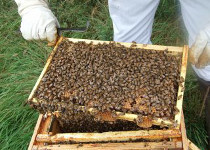 A full day course intended for those who have just started or intend to start beekeeping. The course includes a visit (weather permitting) to our apiary so that you will get some hands on experience working with bees. 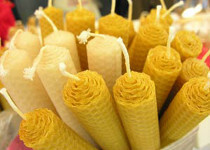 This is a half day workshop for anyone who wants to make their own beeswax candles. You will learn how to make pure beeswax candles as well as other beeswax products such as lip balm, furniture polish and hand creams.